Wednesday, October 24th, at 7 p.m., the Commonwealth Brass Band presented a free concert at Edwardsville United Methodist Church. The program included a world premiere of Sunday Sunshine, a musical celebration of hymns of the United Methodist Church, commissioned by tubist Steve Lasher and other members of the CBB, written by composer Raymond Horton. It was played expertly and was received extremely well by the audience! A repeat performance at the Ogle Center, New Albany, IN on Sunday, Oct 28th was also a great success! For 2018-19, Five more performances of my composition​ ​for orchestra ​​Make Gentle the Life of This World,​​ which uses the speech Robert Kennedy gave in Indianapolis on the day that Martin Luther King was killed in 1968. 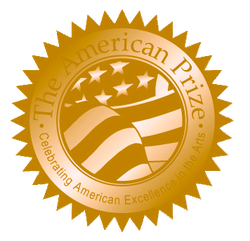 This work was awarded a "Special Judge's Citation, Recognizing Unique Artistic Achievement" by The 2012 American Prize in Composition: Orchestra Division (Professional). From Maestro Willis:Your piece is still ringing in my head! ... I felt YOUR piece perhaps the most perfect piece for the evening... I am deeply grateful to you...I'm so glad we did it. [performance] : "We had about 2,000 3rd graders in attendance this morning. The majority of them were African-Americans. It was really very special—they were attentive and riveted during your piece." "The Little Drummer Boy - El Conguerito (the Little Conga Boy)"
See sample excerpts score and listen to complete computer demo below. Complete score available for viewing - email us! ​The premiere of Emery Crossing: a hit! ​​Emery Crossing Movement III "Ghost Cars! (Junkyards)"
(Using Irish folk tune "The Unquiet Grave") Duration: 3'20"
A scary old Irish folk tune is accompanied by ghost sounds, first in percussion, later in the brass. I am extremely pleased to announce that I have been awarded a 2017-2018 Individual Artist Grant from the Indiana Arts Commission. This is my fifth such Grant since 2003. The grant is to write a work for brass choir or brass band entitled Emery Crossing which portrays, in six short movements, a very interesting road that goes from just outside New Albany, Indiana to the riverfront near Jeffersonville (across from Louisville, KY). Emery Crossing is a picturesque road which runs past boat dealerships, junkyards, rusted train cars, abandoned homes and beautiful pastures to reveal a breathtaking view of the Ohio River and thriving commerce and industry. My good friend Nate Siler (Trombone professor at Eastern Kentucky University) suggested that I apply to write a work for a college brass choir, and promises to have it played as soon as possible. Another good friend, Jerry Amend (Principal Trumpet in the Louisville Orchestra and founder/director of the Commonwealth Brass Band) suggested I write it to be playable by British brass band also, and had it played as such by the Commonwealth Brass Band, conducted by the composer, in March 2018. This website is making process!